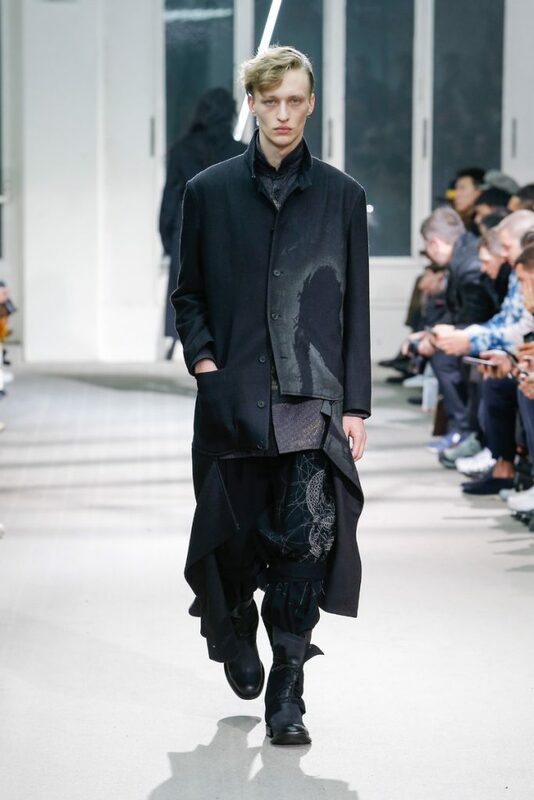 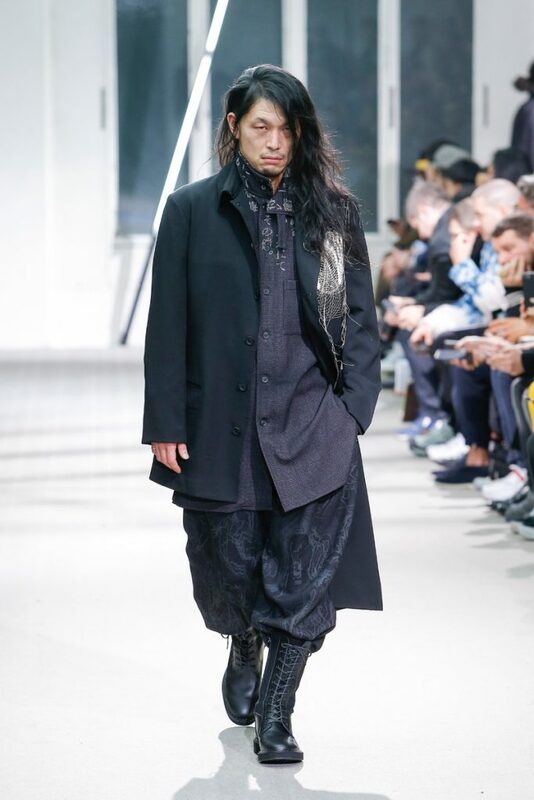 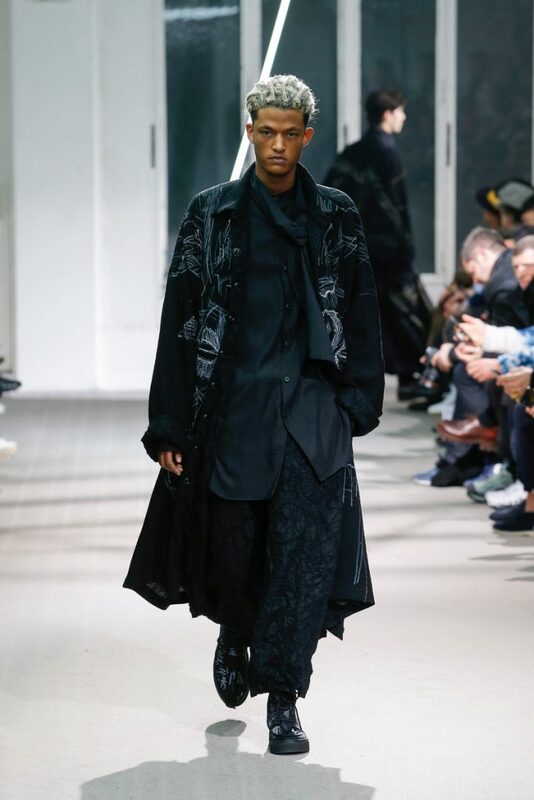 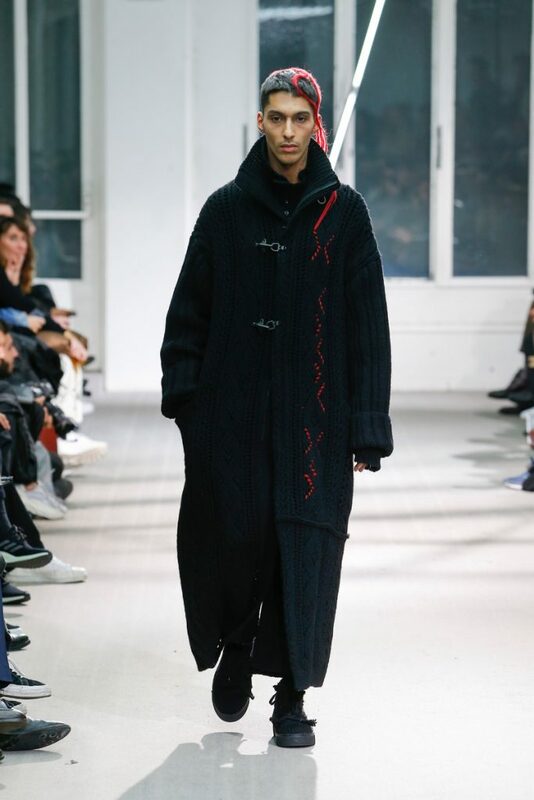 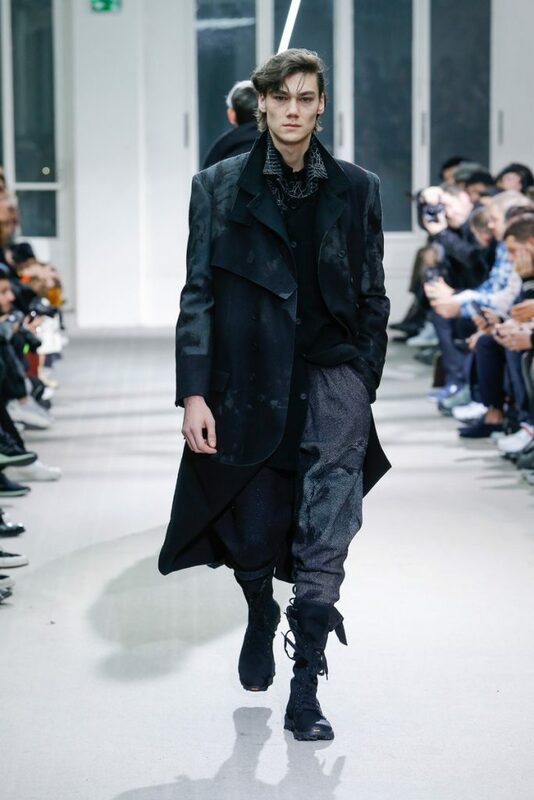 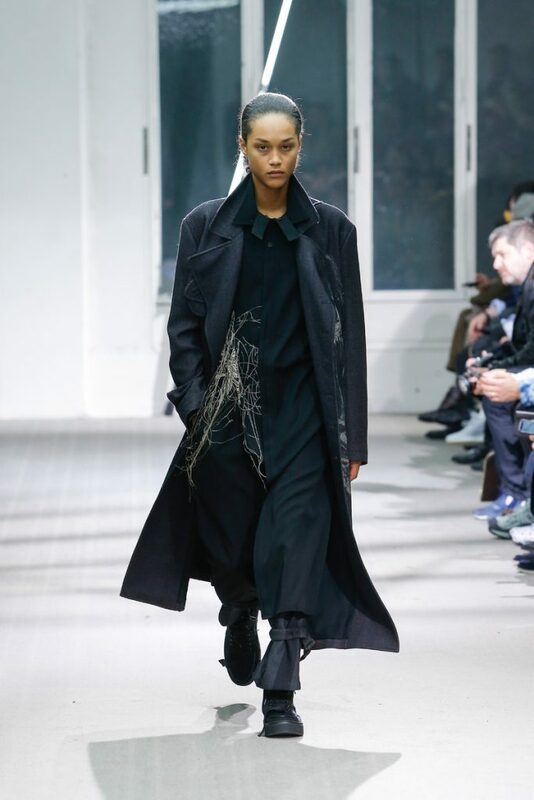 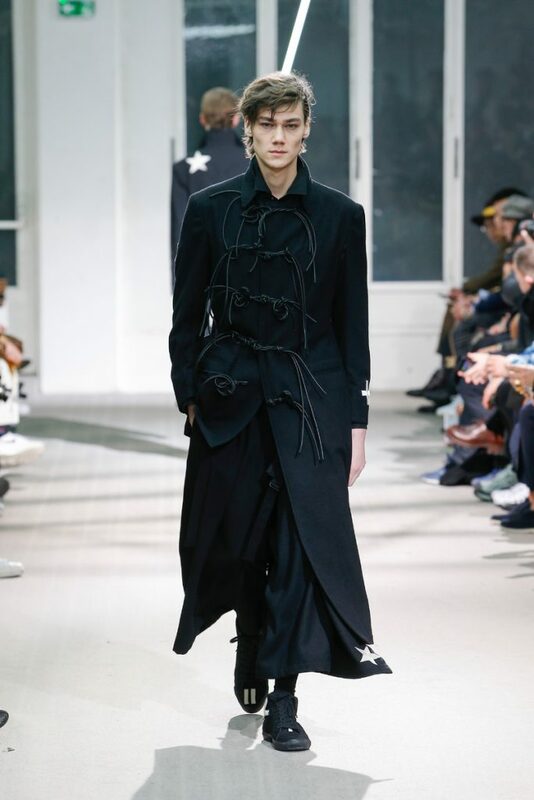 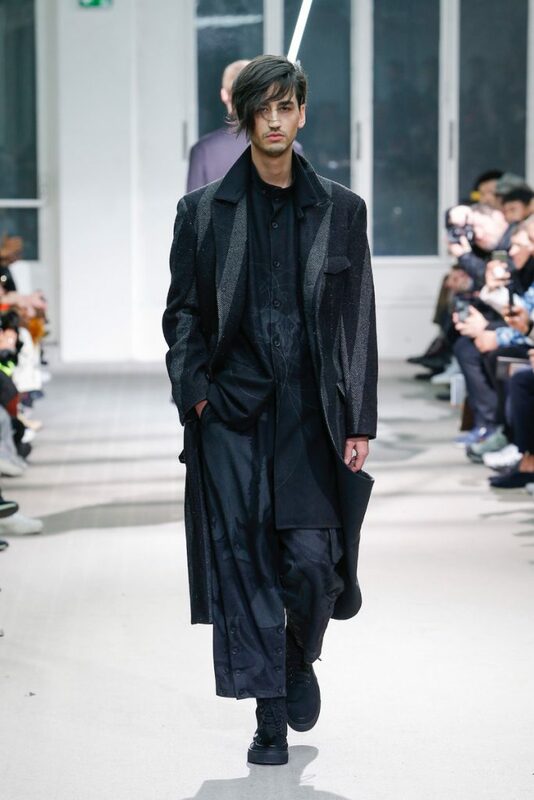 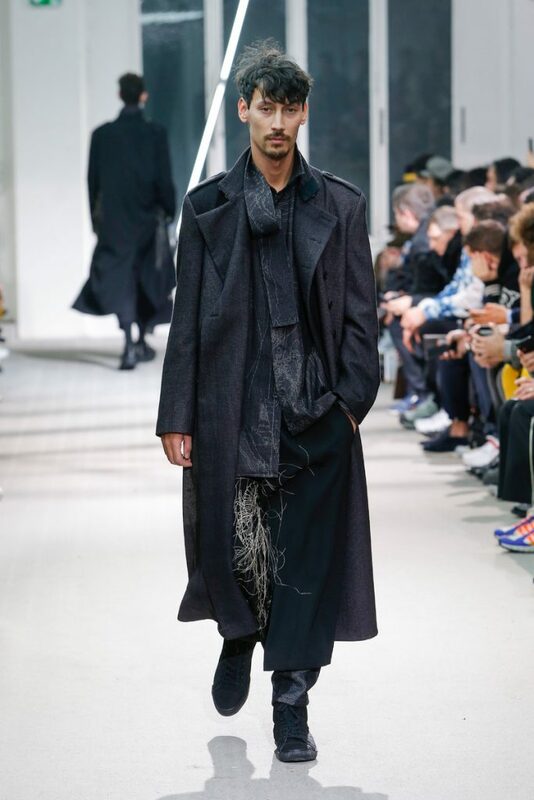 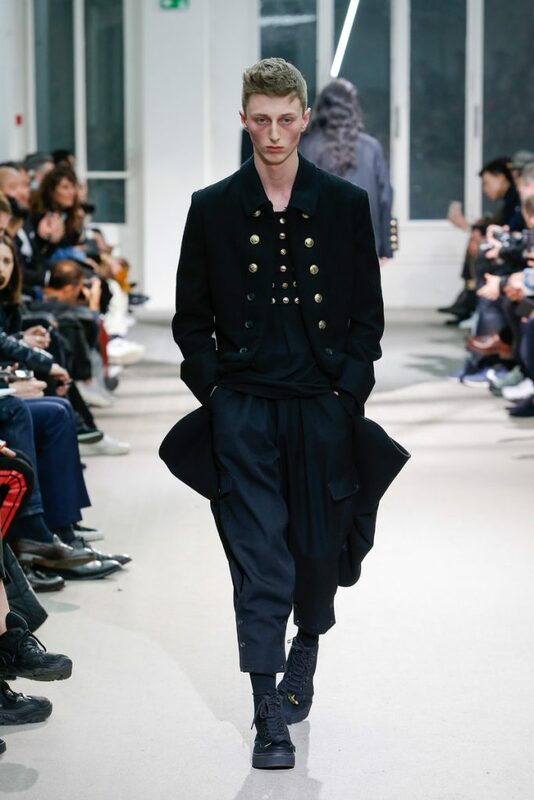 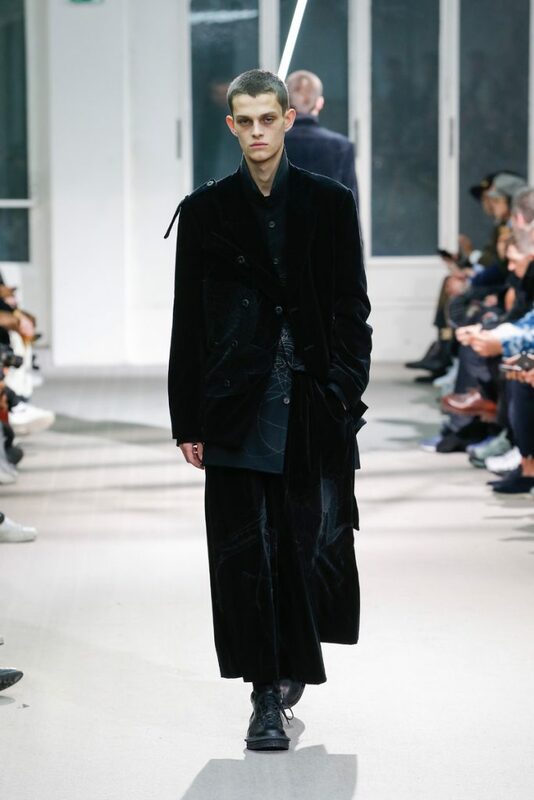 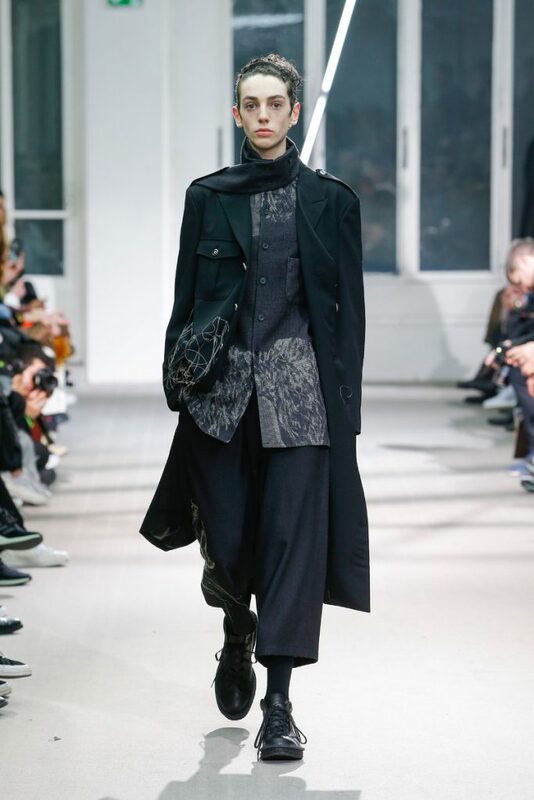 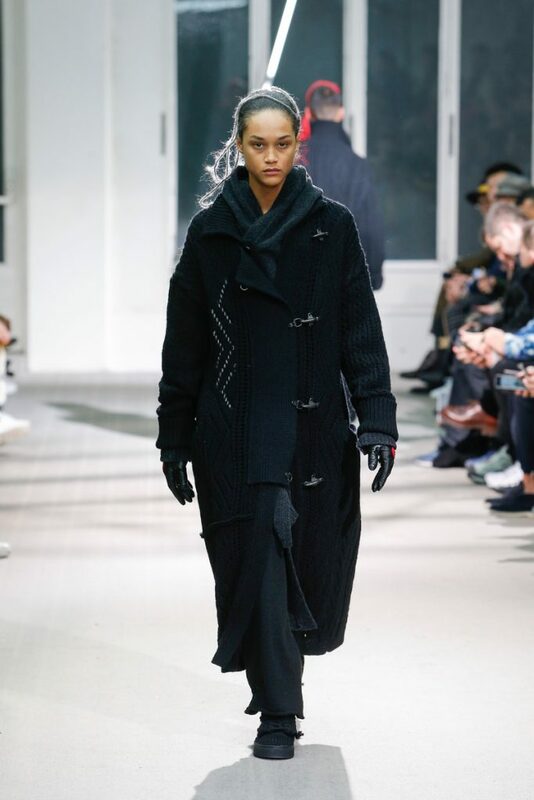 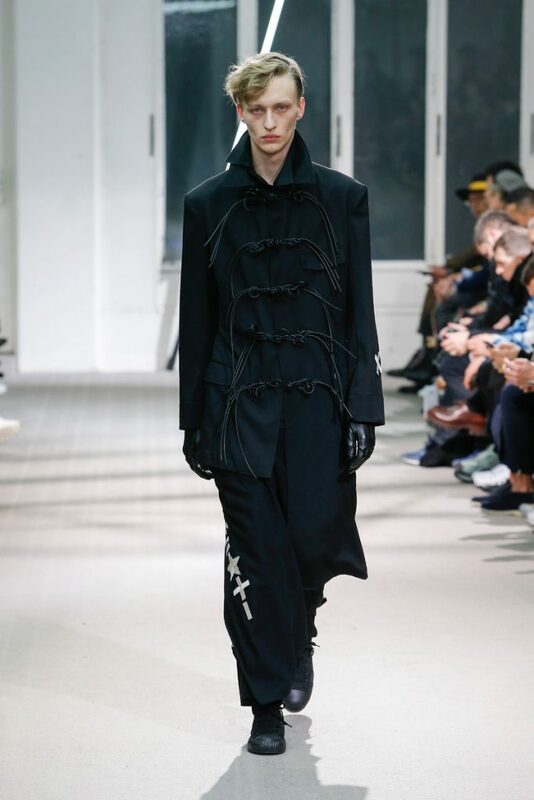 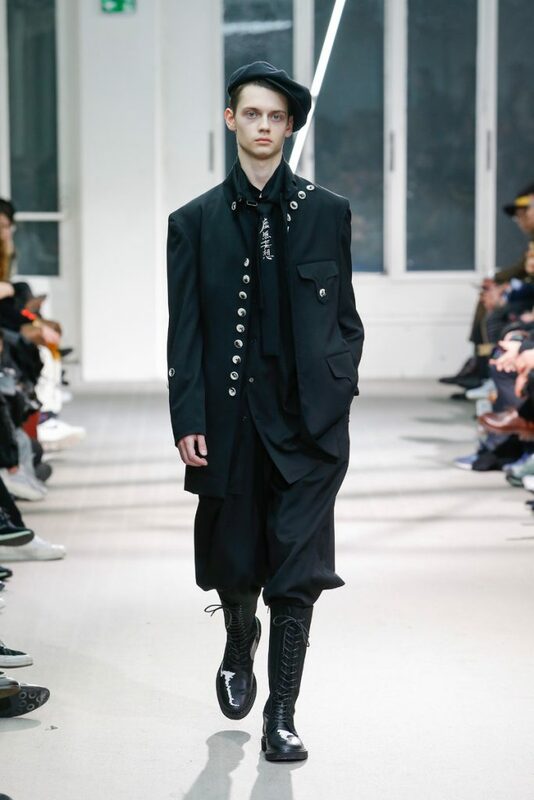 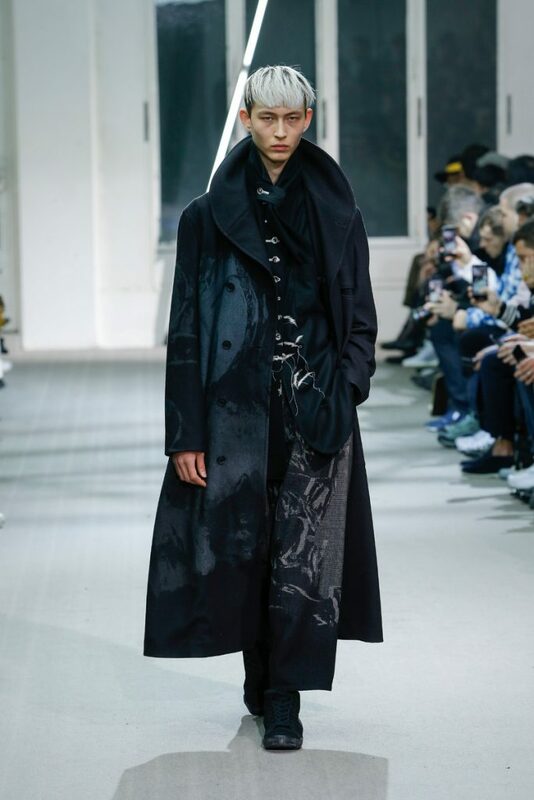 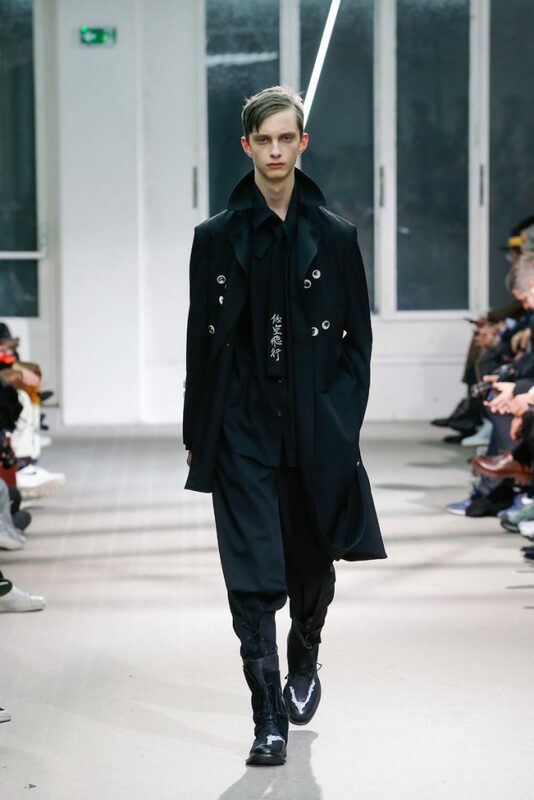 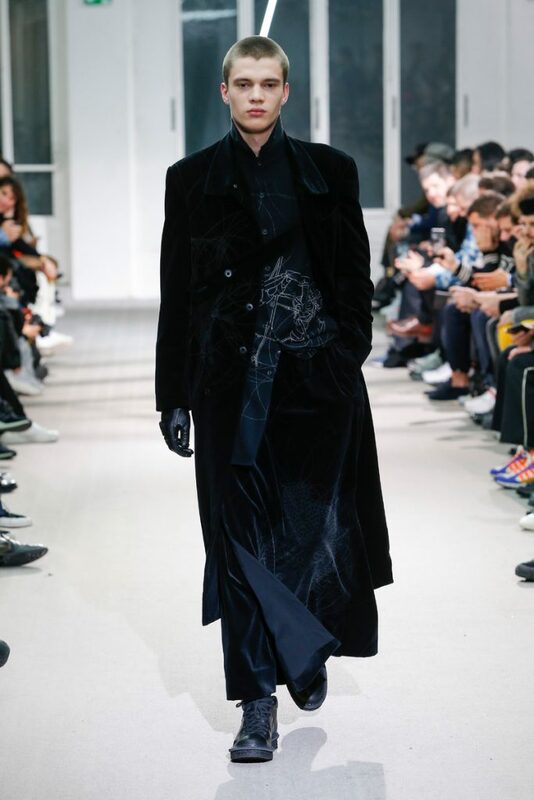 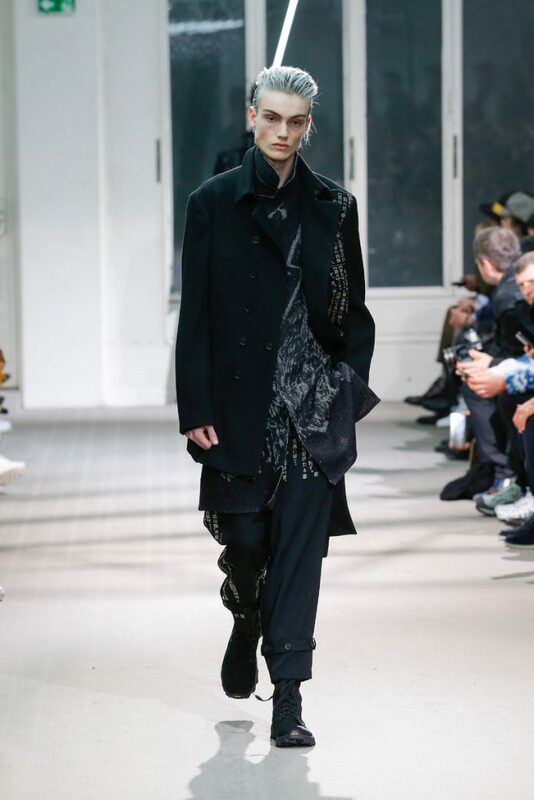 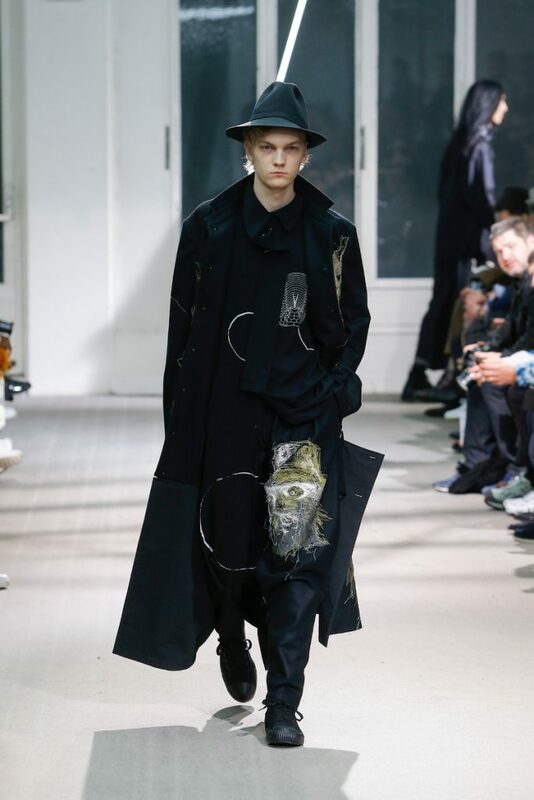 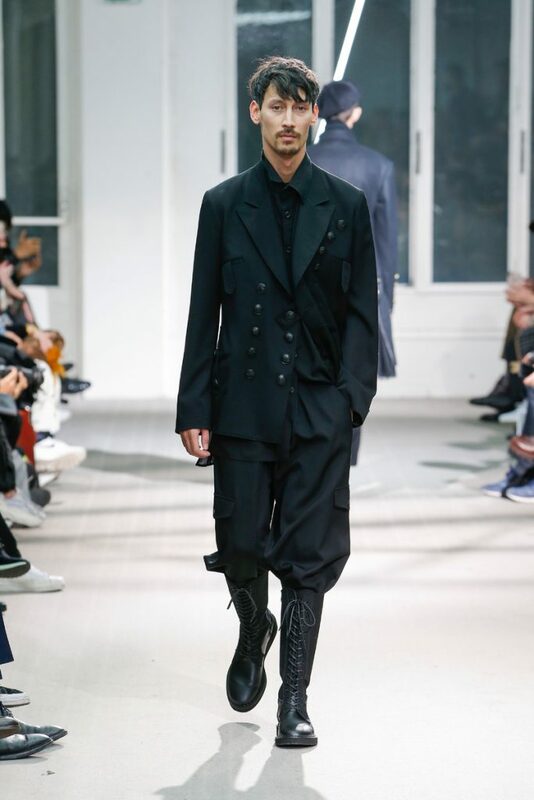 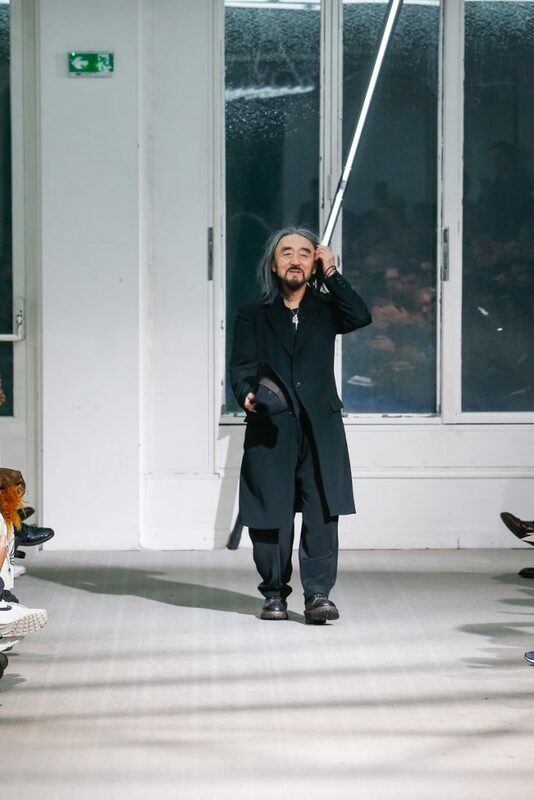 Yohji Yamamoto today was all black and all coats. 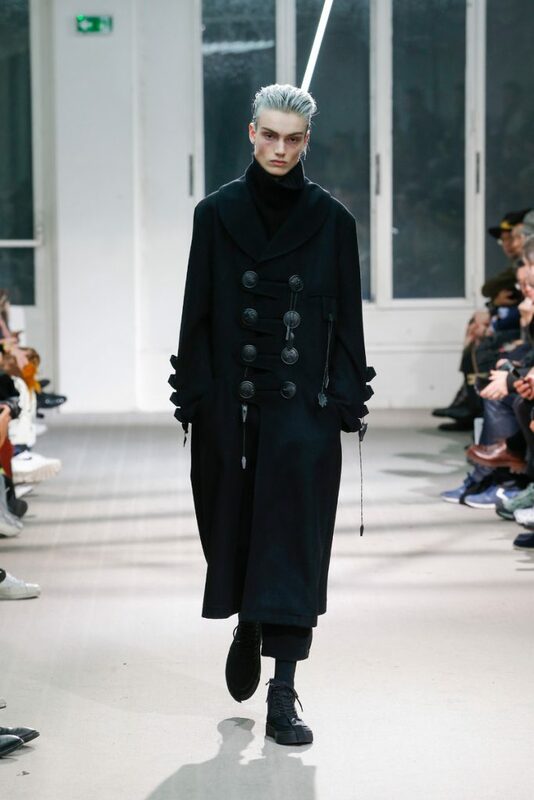 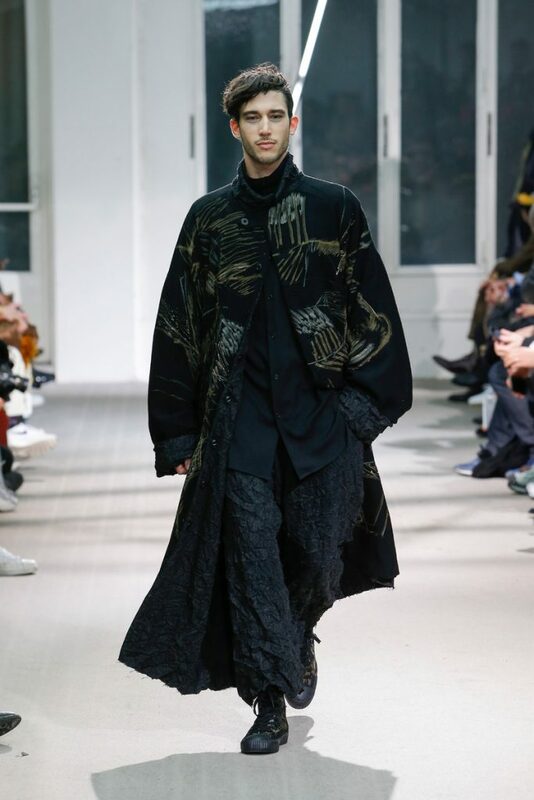 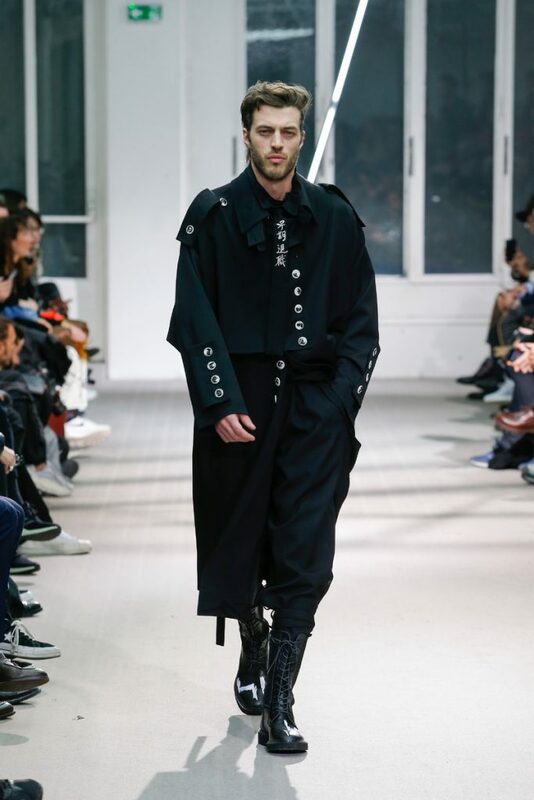 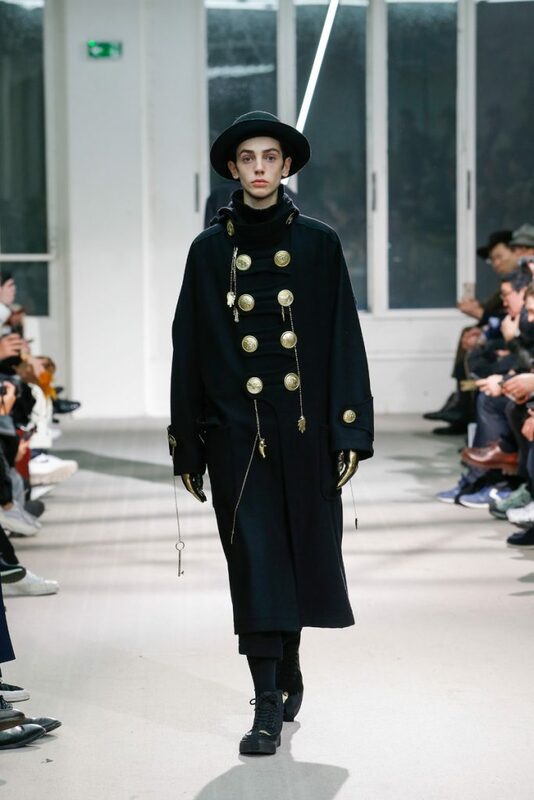 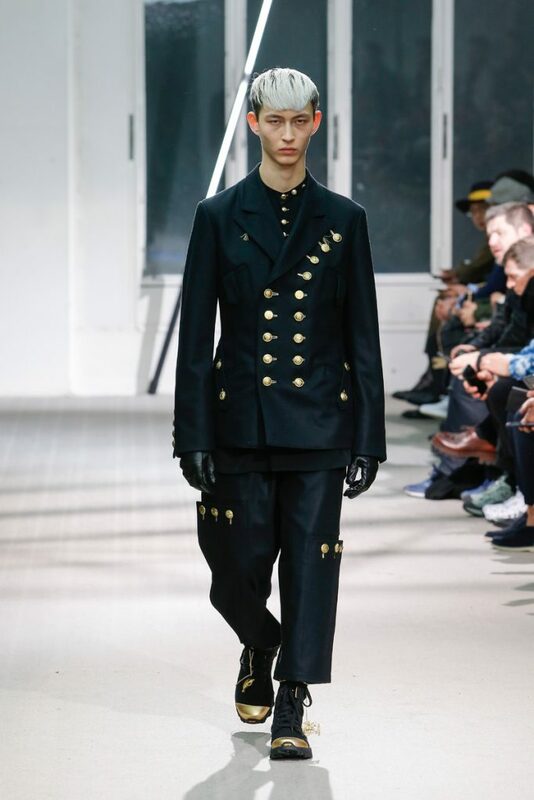 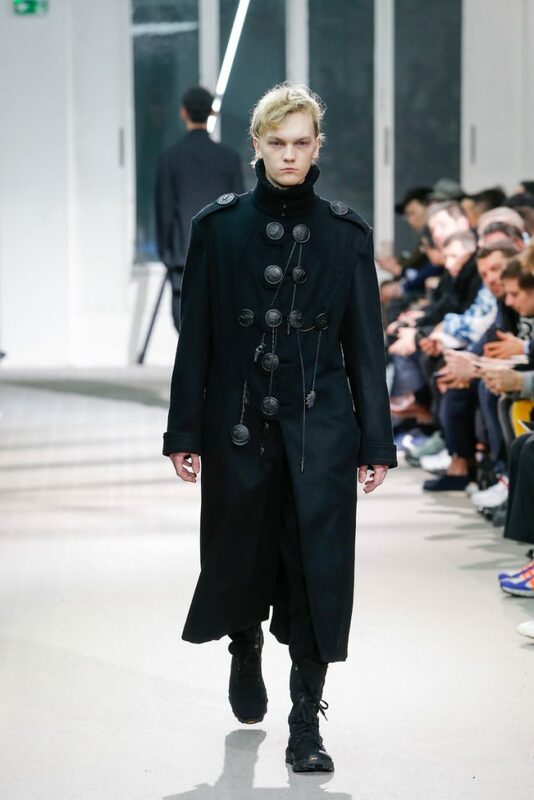 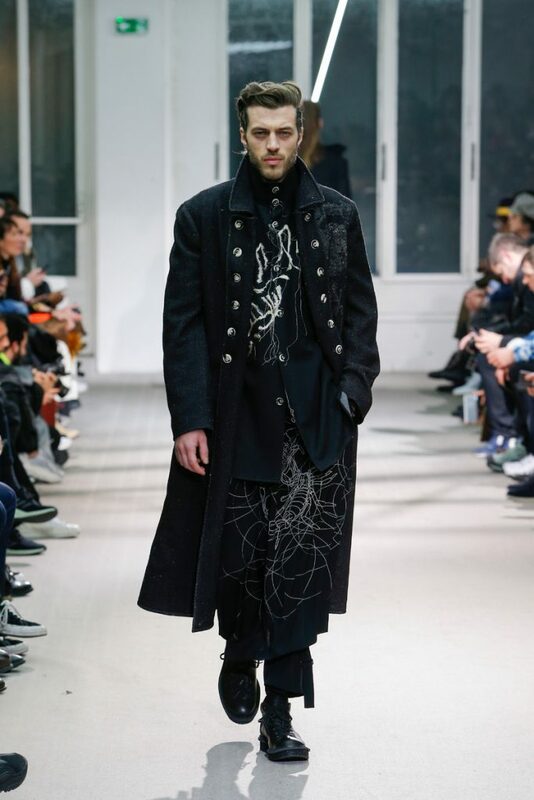 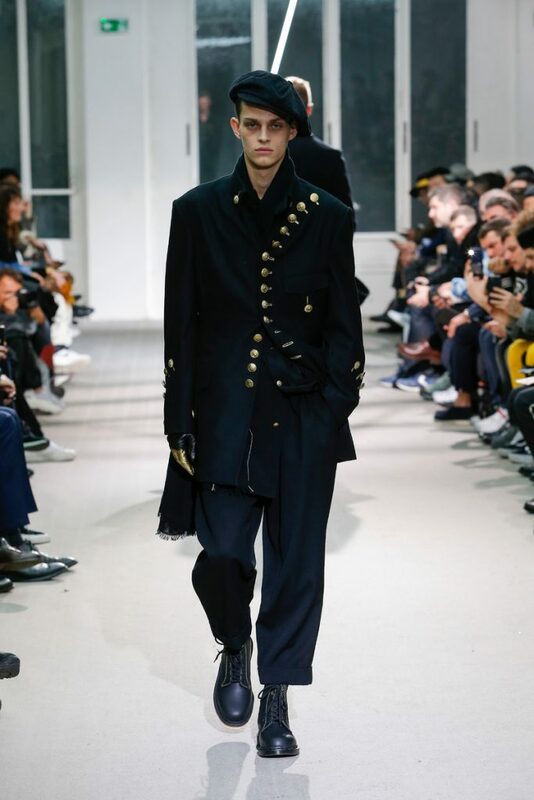 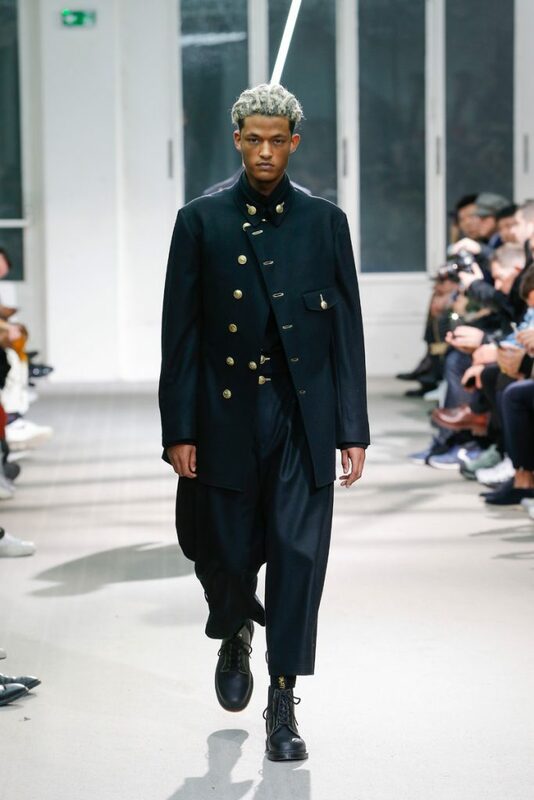 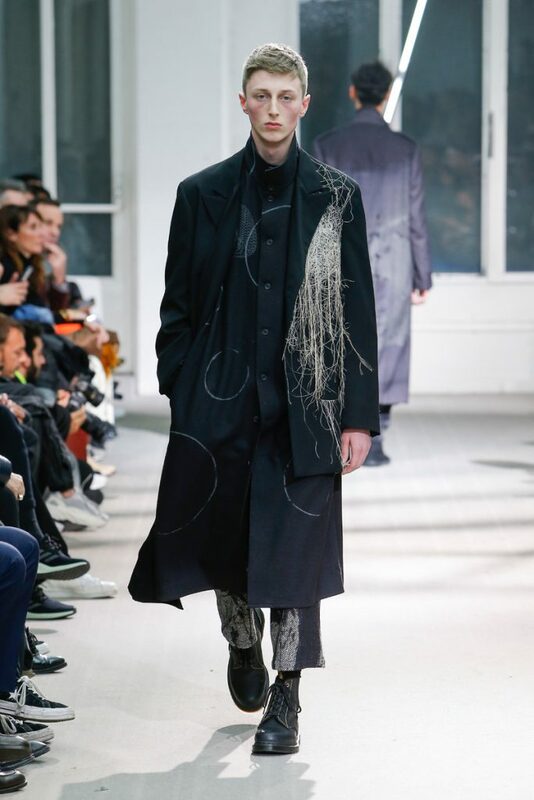 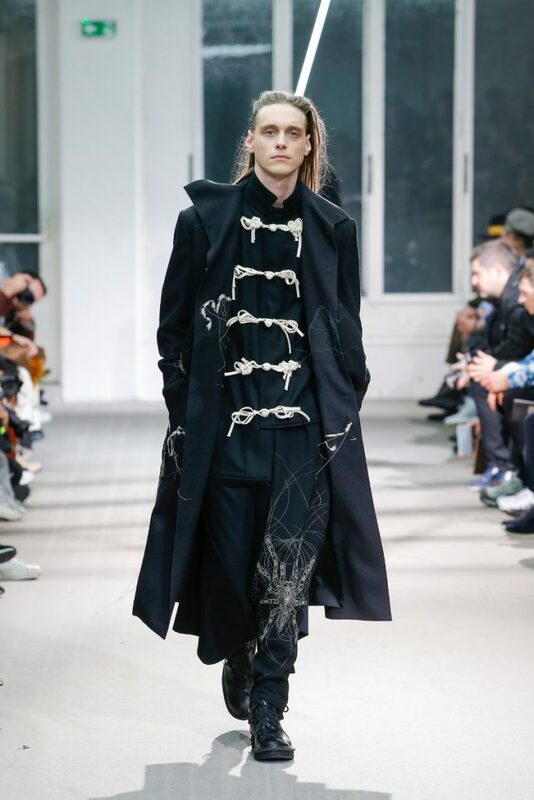 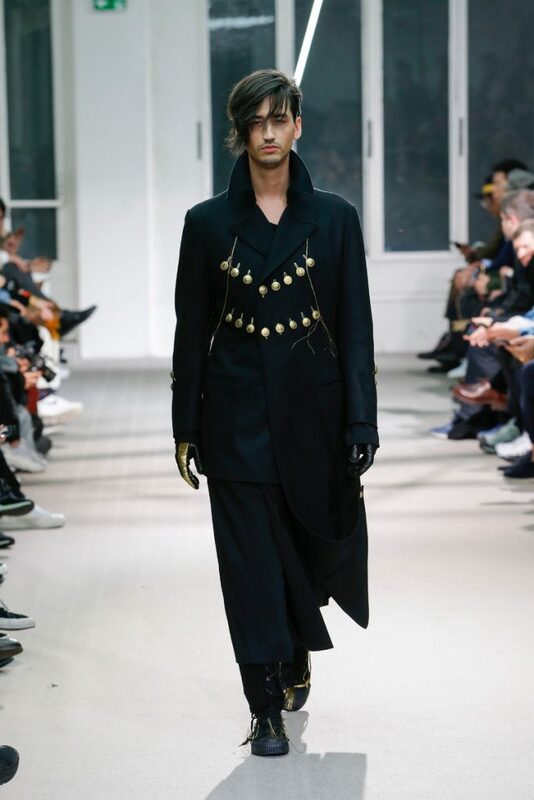 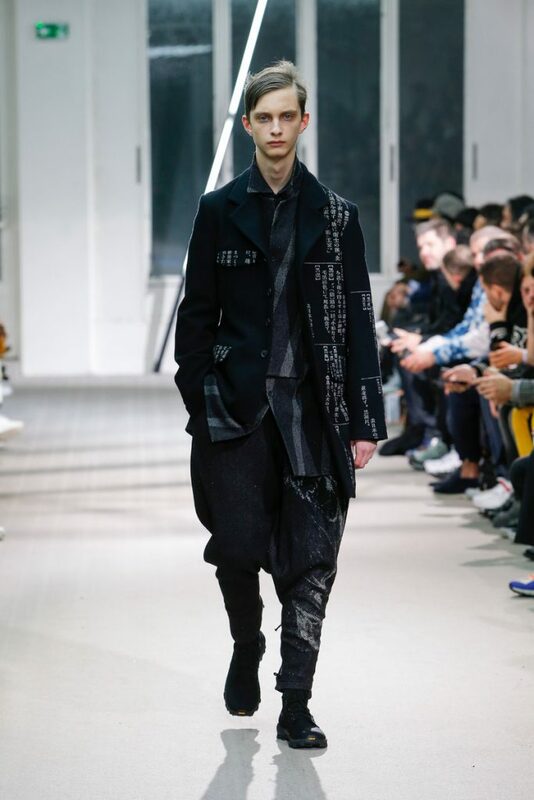 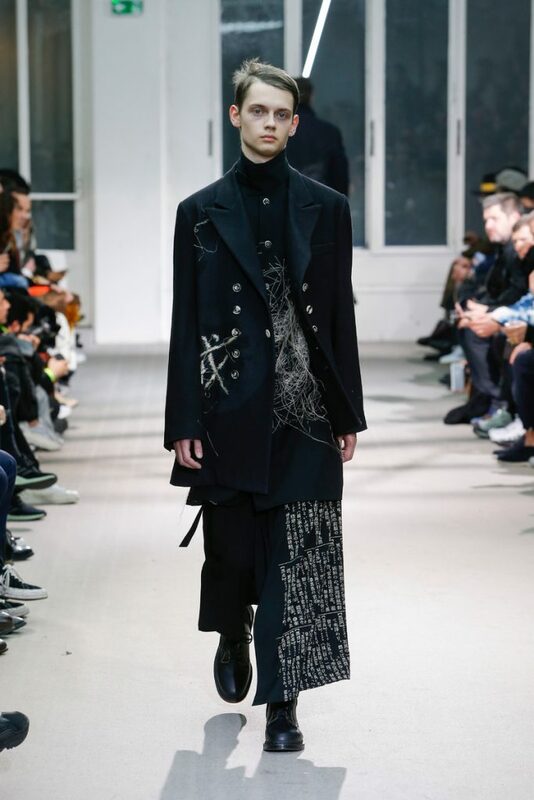 How impressive to pull off a collection filled with black coats and not make it a bore. 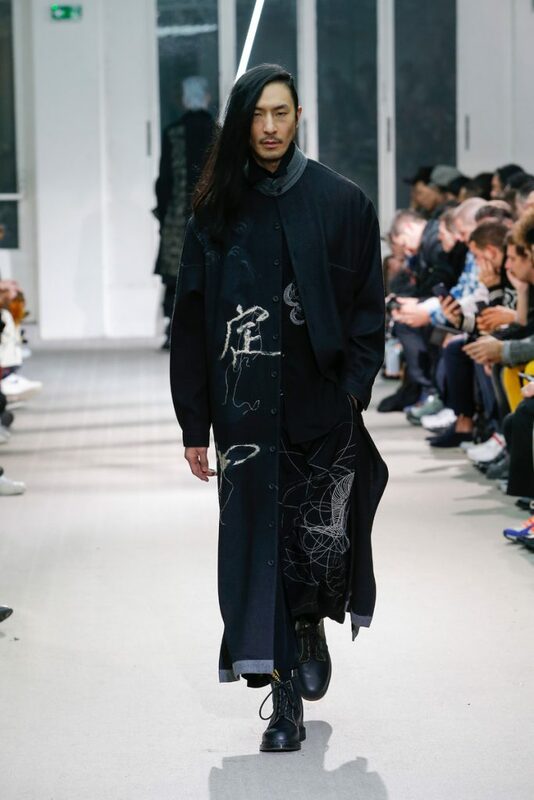 The robe coats had Japanese depictions of women in various states of pleasure, flowers and skulls and they had lots of detail. 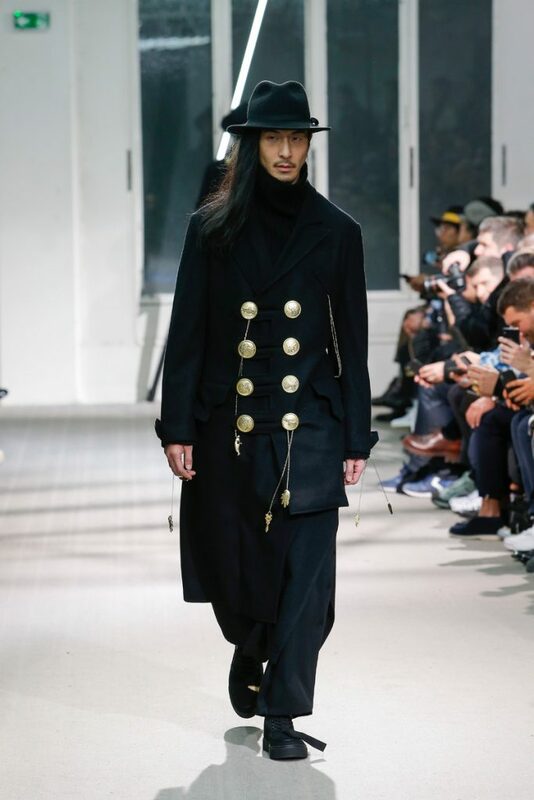 Buttons played a big part, not just double breasted but diagional, over the shoulder, in two horizontal rows, small and black, chunky and gold colored. 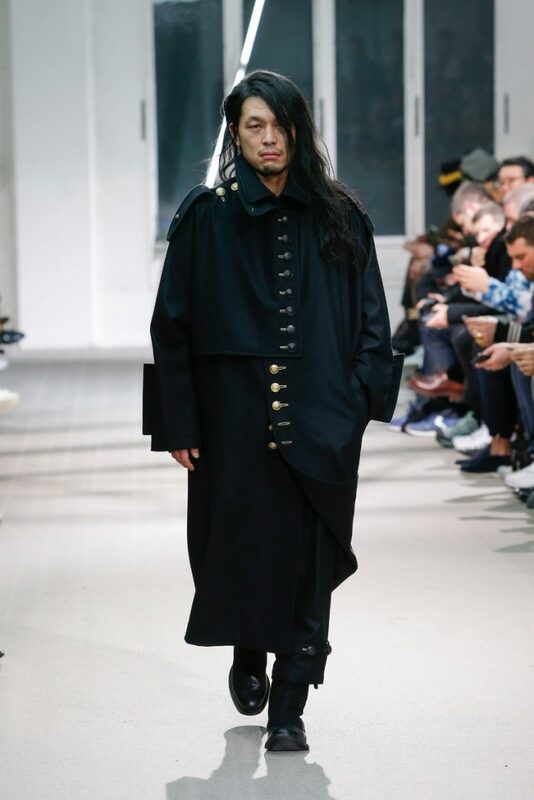 Lots of layering going on too as Yamamoto’s models (with their hair carelessly worn in front of their faces) looked cool and collected in every single outfit.